NARAL's new report shows pro-choicers should focus on birth control, not abortion. Every year, near the anniversary of Roe v. Wade, NARAL Pro-Choice America publishes a report on abortion-related legislation around the country. This year’s report, released today, shows how the landscape has changed. The most forward-looking legislation isn’t about abortion. It’s about birth control. expand abortion access by letting qualified medical professionals like midwives and nurse practitioners provide early abortion care. California’s new measure should be a model for the rest of the country; making abortion more accessible means making it safer. More important, it should be a model for the entire pro-choice movement. We should be working every day to make it easier and safer for women to obtain abortion care. NARAL is right about this measure and about the broader principle: Abortion is safer for women when our laws make it easier, not harder, for well-trained and well-intentioned medical people to offer the procedure. But making abortion safer for women won’t diminish the onslaught of anti-abortion legislation. What will diminish that onslaught, in the long run, is an alternative agenda that addresses what gives the pro-life movement its political power: abortion itself. The pro-choice movement has to offer and pursue pro-choice ways of satisfying pro-life objectives. The pattern continues as you scroll down to NARAL’s list of “Pro-Choice Laws” enacted in the states. Most categories on the list don’t pertain to abortion. Four of the seven categories are “Contraceptive Equity,” “Emergency Contraception,” “Guaranteed Access to Prescriptions,” and “Low-income Women’s Access to Family Planning.” When you click through to see how many states have enacted pro-choice laws on these subjects, birth control beats abortion hands down. Pro-choice policies on the three abortion topics—“Freedom of Choice Acts,” “Protection Against Clinic Violence,” and “State Constitutional Protection” for abortion rights—have been adopted in seven, 16, and 16 states, respectively—an average of 13. Pro-choice policies on the four birth-control topics have been adopted in 28, 22, seven, and 32 states, respectively—an average of 22. 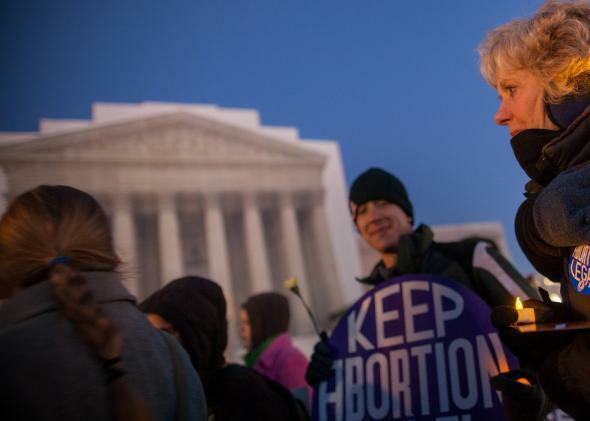 NARAL isn’t going to drop the fight for abortion rights anytime soon. That fight is in its DNA, and somebody has to make sure that when all else fails, a woman can find someone better than Kermit Gosnell to help her. But the fight to protect abortion rights will always be ugly and unsatisfying. The most plausible way out of this perpetual war is to convince the public, not just through words but through policies and results, that the best way to prevent abortions is to help women avoid unwanted pregnancies in the first place.